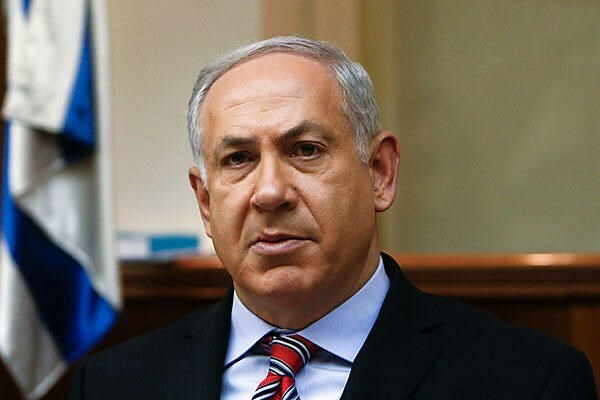 The Israeli occupation Premier Benjamin Netanyahu announced during his government’s weekly meeting on Tuesday his decision to allot a one 100-million-shekel-batch (25 million dollars) to Judaization projects in the environs of the Buraq Wall, in Occupied Jerusalem. Netanyahu claimed the transfer of such a cash-batch is primarily prompted by the upsurge in the numbers of Israelis popping in the Buraq wall over the past five years. The decision comes just a few hours after Israel’s notorious Netanyahu appointed a pro-illegal settlement activist residing in the West Bank as a Minister for Jerusalem Affairs. Earlier, last week, Netanyahu threatened to prop up illegal settlement and Judaization projects in eastern Occupied Jerusalem, dubbing Jerusalem the eternal capital of the self-proclaimed Jewish state. His standpoint as regards Occupied Jerusalem and attempt to wipe out the city’s typically Islamic idiosyncrasy have sparked rage across and outside the occupied Palestinian territories. Western diplomat says PM told EU foreign policy chief talks should define West Bank areas in which Israel can continue building; another diplomat says this is just 'illusion of progress'. Prime Minister Benjamin Netanyahu has proposed resuming peace negotiations with the Palestinians but with the initial focus on identifying those Jewish settlements that Israel would keep and be allowed to expand, an Israeli official said on Tuesday. 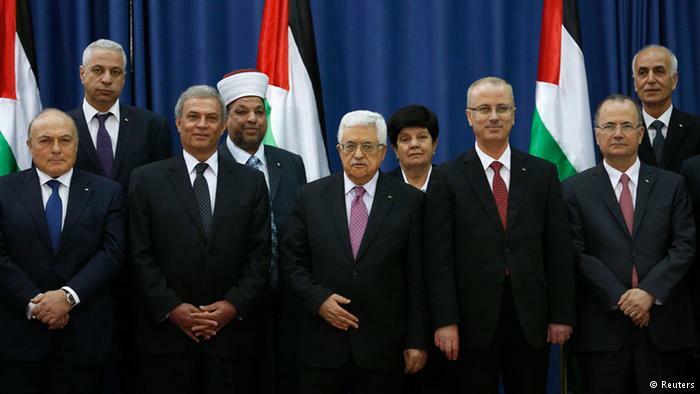 Peace talks collapsed in April 2014 over Israeli settlement-building in the West Bank and East Jerusalem, areas Palestinians seek for a state, and after Abbas angered Israel by reaching a unity deal with the Islamist group Hamas in Gaza. Asked about Netanyahu's position, a spokesman for Palestinian President Mahmoud Abbas said settlement activity had to stop altogether before peace talks resume and that all core issues of the conflict with Israel needed to be addressed simultaneously. In a meeting in Jerusalem on Wednesday, Netanyahu told Federica Mogherini, the European Union's foreign policy chief, that some of the land Israel captured in the 1967 Six-Day War would remain in its hands while other parts would be left under Palestinian control, the Israeli official said. "Therefore negotiations should be resumed in order to define those areas in which we can build," the official said, quoting Netanyahu. The remarks were first reported in the left-wing Israeli newspaper Haaretz. With the inauguration two weeks ago of his new right-wing government following March elections, Netanyahu faces US and EU calls to re-engage with the Palestinians and also the threat of stronger pressure to curb construction in settlements, which most countries regard as illegal. Western diplomats have said Netanyahu - who raised international concern by saying on the eve of the election that no Palestinian state would be established on his watch - will now be closely scrutinized over his settlement policy. An understanding on settlements in peace talks would enable Israel to keep construction going without raising the wrath of its Western allies. 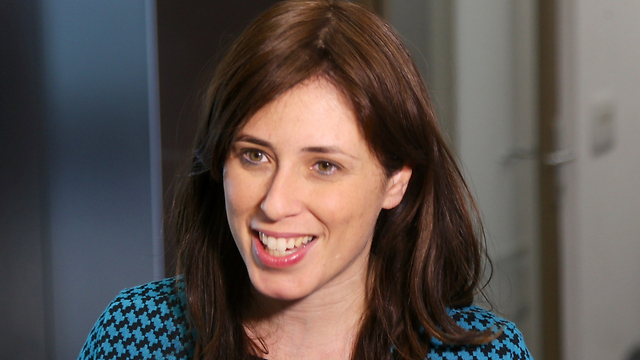 It could also appease hardliners in Netanyahu's government who want to see more construction. One Western diplomat familiar with what occurred at the meeting with Mogherini said Netanyahu's proposal showed some change in his position, but not enough to restart peace talks. "Up until now, Netanyahu has refused to put any maps on the table, so in that respect it was quite substantial. He was talking about borders in one way or another, even if it was based around the acceptance of existing settlement blocs," the official said. 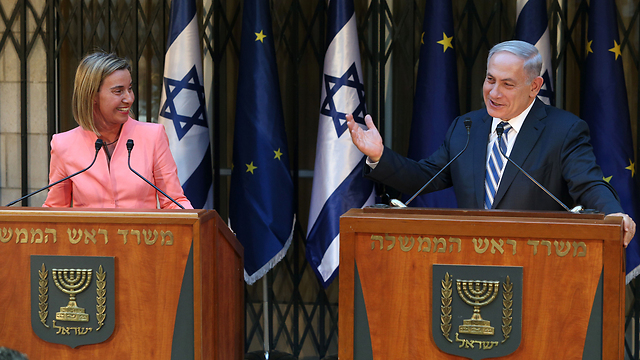 Another Western diplomat described Netanyahu's proposal as creating "the illusion of progress". "Netanyahu was trying to show that he is committed to peace and ready for negotiations, but he knows the Palestinians would never agree to begin on this basis," the diplomat said. The coming period will be critical for the future of the peace process, with concerns growing about the lack of a horizon for the resumption of negotiations towards a two-state solution, according to the latest report issued by the Office of the United Nations Special Coordinator for the Middle East Peace Process (UNSCO). The report will be presented to the Ad Hoc Liaison Committee (AHLC) at the twice annual meeting in Brussels on May 27, 2015. The report warns that maintaining the current untenable status quo will "inexorably lead to the continued erosion of living conditions for Palestinians and for Israelis alike and will undermine the security and stability of all." It notes the call by UN Special Coordinator for the Middle East Peace Process Nickolay Mladenov during his recent briefing to the Security Council on both parties "to expend every effort to build upon existing agreements, including relevant UN Security Council resolutions, the Roadmap and the Arab Peace Initiative, to gain momentum towards a final status agreement." The report reiterates the call on the new Government of Israel to take credible steps to reaffirm its commitment to a two-state solution, including a freeze of settlement activity, to promote a resumption of meaningful negotiations. Continued security cooperation between Palestinian and Israeli authorities also remains a cornerstone of a peaceful resolution. The political and security situation in the West Bank, including East Jerusalem, continues to deteriorate with heightened levels of violence and renewed settlement activities, the report states. On Area C, the report notes that "the United Nations continues to support local Palestinian authorities in developing adequate social infrastructure... but the programme faces challenges due to the slow pace of Israeli approvals." It also expresses concerns about recent moves to relocate Bedouin communities near Abu Nwar in the politically sensitive E1 area of the West Bank that may be linked to further settlement construction. The report also highlights the considerable challenge in putting the Government of Palestine's finances on a stable footing. "While the recent release of outstanding tax revenues by Israel is welcome, it is essential that agreement on a sustainable solution on tax collection in line with the Paris Protocol of the Oslo Accords is reached," the report underscored. Turning to the Gaza Strip, the report notes that the United Nations objective remains to see the lifting of all closures within the framework of Security Council resolution 1860 (2009) in a manner which addresses Israel's legitimate security concerns. In the absence of such a change, the Gaza Reconstruction Mechanism (GRM) remains the only available option to facilitate the entry of "dual use" materials necessary for reconstruction. To date, close to 85,000 of the 100,000 households in need of construction materials to repair their partially destroyed homes have received materials. The report also highlights that out of the 168 projects submitted by the private sector and the international community, 85 projects are approved and eight are ongoing. Turning to the challenges of intra-Palestinian reconciliation and unity, the report welcomes Prime Minister Rami Hamdallah's efforts towards finding a solution for public sector employees in Gaza and encourages all factions to support his initiative. "The United Nations also stands ready to work with all stakeholders and support the Government's efforts. A comprehensive reconciliation must include the GNC resuming control over the crossings into Israel and Egypt. The responsibility for addressing these issues lies first and foremost with the Palestinian authorities," the report adds. The Ad Hoc Liaison Committee (AHLC) serves as the principal policy-level coordination mechanism for development assistance to the oPt. The AHLC is chaired by Norway and co-sponsored by the EU and the US. In addition, the United Nations participates together with the World Bank and the International Monetary Fund (IMF). 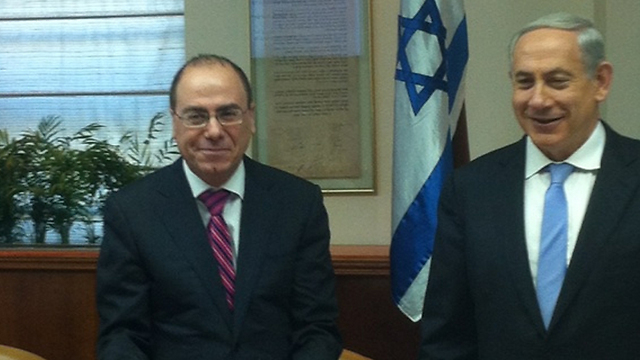 The AHLC seeks to promote dialogue between donors, the Palestinian Authority and the Government of Israel. 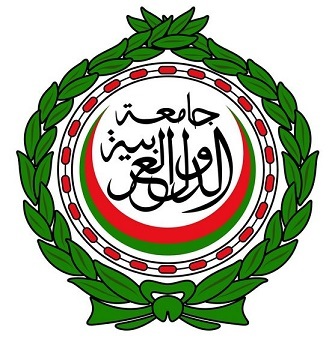 The full report to the AHLC prepared by the Office of the UN Special Coordinator for the Middle East Peace Process is attached to this release and includes an executive summary of its main conclusions. Israeli Occupation Forces (IOF) established a nightclub and café over an Islamic historic cemetery in Occupied Jerusalem within the Israeli accelerated moves to Judaize the Islamic landmarks in the city. In a press statement, the Aqsa Foundation for Endowment and Heritage condemned the Israeli continuation of desecrating the cemetery. The Foundation which visited the cemetery asked the Islamic and Arab countries as well as the Palestinian people to urgently work on confronting such desecration of the cemetery in which a number of the Sahaba (Prophet Mohammad’s friends) and many of the Islamic scientists were buried over 1400 years. It added that the construction and equipment of the nightclub has been completed for a soon opening after confiscating the cemetery and turning it into a public park. The cemetery is the biggest and oldest graveyard in Palestine. According to Israeli media sources, the facility will be opened in May. It lies on an area of 250 square meters over a land of an area of 450 square meters. 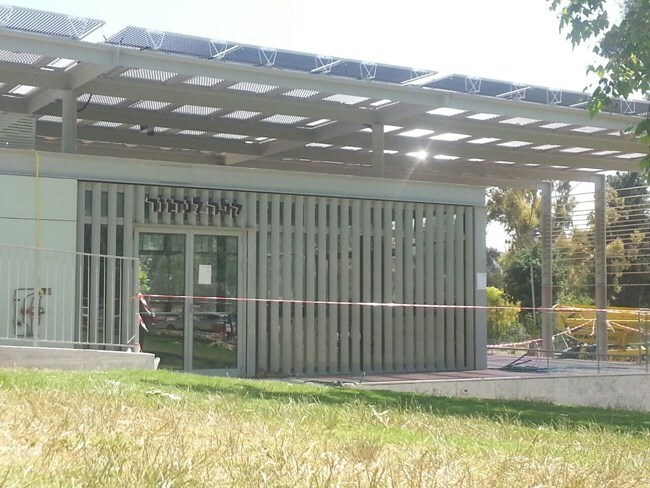 It is equipped for public ceremonies with 110 chairs including a bar and a wide courtyard and will be run by an Israeli company. According to French initiative, if sides fail to reach agreement by deadline, Paris will officially recognize Palestine; plan includes demand for Palestinians to recognize Israel as Jewish state. France is pushing forward with its Middle East peace initiative, shortening the deadline for Israeli-Palestinian talks from two years to 18 months, French magazine Le Figaro reported on Wednesday. 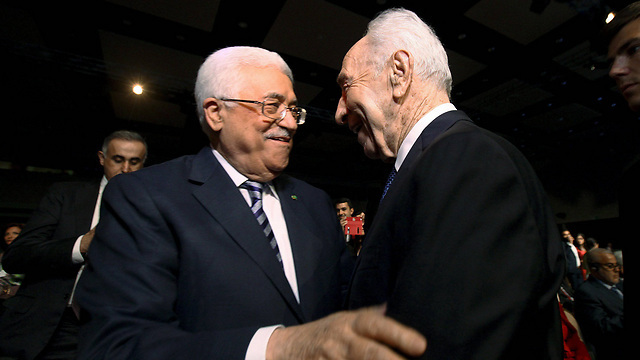 French Foreign Minister Laurent Fabius recently presented the Arab League with a detailed plan to renew peace talks between Israel and the Palestinians. The plan stipulates the formation of a Palestinian state in the pre-1967 lines, with swaps of mutually agreed upon lands similar in size, while taking into account Israel's security needs. 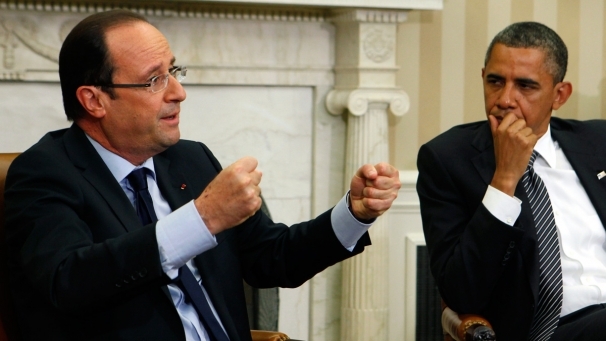 The French are seeking to achieve a "just, sustainable and global solution" to the conflict. If a two-state solution is not reached by the end of the 18 months of talks, France will announce it is officially recognizing the State of Palestine. 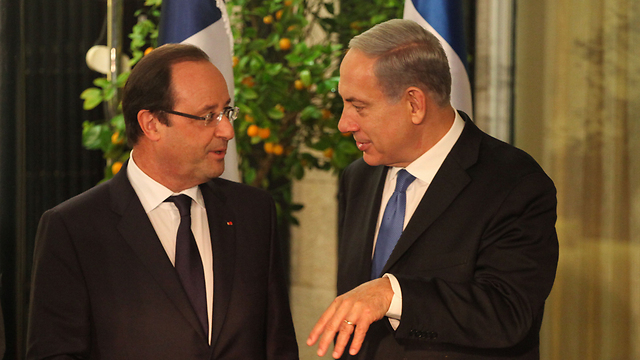 A French source explained that the timeframe for the talks has been shortened in light of the escalation of violence in the West Bank, and with the hopes of seeing the initiative begin to bear fruit before French President Francois Hollande leaves office. The French plan determines that both sides would have to define parameters that ensure the security of both Israel and Palestine, which would efficiently and effectively protect the borders, stop terrorism, and thwart the smuggling of arms. These parameters would have to honor Palestinian sovereignty and include a full withdrawal of the IDF from Palestinian territories in stages over an interim period agreed upon by the two sides. The French have stressed they were interested in reaching a final-status deal, and not another interim agreement that postpones the end of the conflict to an unknown date in the future. Another issue the French initiative is one important to the Palestinians - the plan demands a "just, balanced and realistic solution to the issue of refugees," stressing the solution would have to be based on a "mechanism of compensation." The French initiative remains vague on the issue of Jerusalem and mentions the necessity of the city being the capital of both Israel and the future Palestinian state. 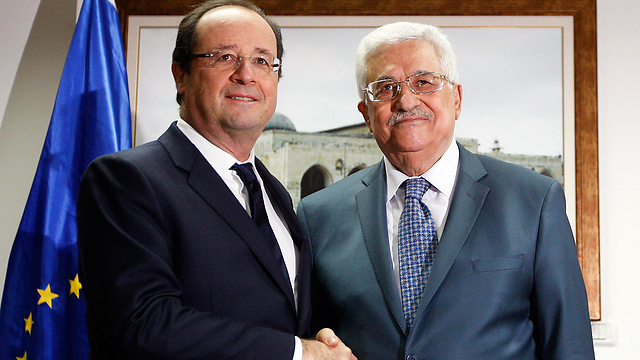 The French plan calls for the two-state for two-peoples solution, but includes the demand for the Palestinians to recognize the Jewish nature of Israel. This demand has so far been rejected out of hand by the Palestinians. French paper Le Figaro reported that the initiative's draft has been unofficially presented to London and Madrid as well. In any case, the French peace initiative will not be officially submitted to the UN Security Council before June 30, the deadline for negotiations with Iran on its nuclear program. French sources said the US asked France to postpone the plan's submission so as to not raise difficulties in talks with Iran. Paris, however, was not willing to wait forever, the French sources said. The Jerusalem District Planning and Building Committee approved on Wednesday the construction of 90 settlement units in the Har Homa outpost in southern Occupied Jerusalem. 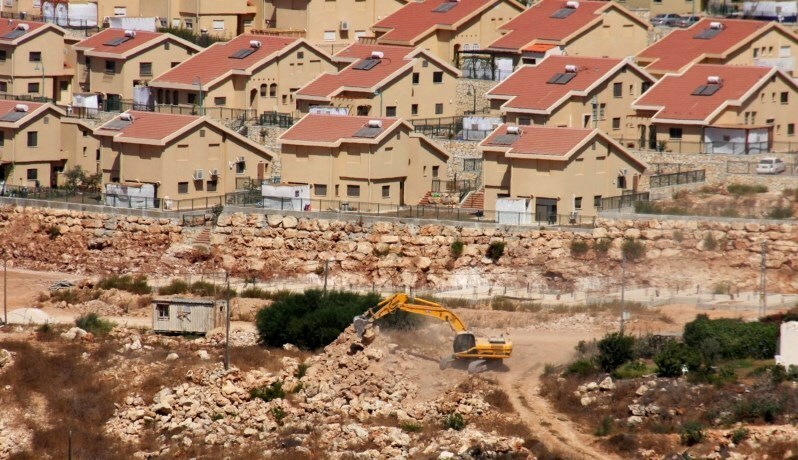 Israeli sources revealed that Jerusalem municipality along with Israeli government have decided to continue settlement construction in the neighborhoods of East Jerusalem. The sources underlined that Israeli government is continuing the establishment of settlements in Har Homa outpost in particular regardless of the opposition of the international community. "This means that Israel is going into confrontation rather than political agreement to end the conflict,” the sources added.